The pulse of the global food and beverage marketplace beats fast during Anuga – the leading trade fair for the global food industry that takes place biennially in Cologne, Germany. This year’s show is scheduled for Oct. 5-9 and promises to be bigger and better than the 2011 show, which hosted more than 6,700 exhibitors from almost 100 countries. The USA Pavilions are a popular destination for international buyers and distributors and offer exhibitors a highly visible platform to display products “made in America.” Of the 165 U.S. companies that exhibited at Anuga 2011, 90 percent chose the USA Pavilion platform to promote their brands, generating $15.6 million in on-site sales and more than $169.6 million in 12-month projected sales. Indeed, Anuga is a central business and communications platform that brings together the suppliers and top-decision makers of the global retail trade and foodservice/catering markets. It is where innovative new products debut and trends take off. Attendees of the 2011 show were the first to see innovations such as sugar-free rasmalai, a traditional Indian dairy-based dessert now in a better-for-you, lower calorie format. Organic bamboo tea was a head turner. The product is made with very young leaves from the bamboo plant that can only be harvested during five weeks of the year. Red liquid salt is exactly as its names suggests. Bottled in Hawaii, the product gets its characteristic red color from Alea clay, which also gives the liquid salt a high iron content, making it appealing to those with anemia. BeneVita made its debut at Anuga. This vegetable oil spread is enhanced with the prebiotic fiber inulin, along with vitamins A, D, E, B1, B2, B6, B9 and B12. This product joins BeneVita with Evening Primrose Oil, which has been available for about five years. The product is a natural source of conjugated linoleic acid. All of these innovations were part of the trade fair’s “taste” competition. In 2011, 500-plus companies entered more than over 1,200 innovations, with contest judges selecting 54 as winning new products. The winners represented all 10 of Anuga’s specialized trade show halls (Bread & Bakery, Hot Beverages, Chilled & Fresh Foods, Dairy, Drinks, Fine Food, Foodservice, Frozen Food, Meat, Organic and RetailTec). In addition to evaluating the quality and originality of the entries, the jury also considered packaging, user-friendliness, the recipe and, of course, visual appeal. Most of the winners included one or more of the international trends experienced throughout Anuga. These trends include products that meet high health and safety standards, target specific demographics, provide convenience and support sustainable production and manufacturing. For 2013, Anuga organizers have identified 10 trend topics that will be highlighted throughout the 10 segments. They are: 1. Finger Food, 2. Gourmet Products & Regional Specialties, 3. Halal Food, 4. Health & Functional Food, 5. Ingredients, 6. Kosher Products, 7. Organic Products, 8. Private Label, 9. Vegetarian Products and – new for 2013 – 10. Products Based on Fair Trade. This year’s show is being promoted with the phrase: “Because tomorrow morning today will already be yesterday.” Organizers are emphasizing the importance of being on top of innovation. 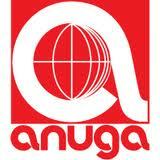 More information on exhibiting or attending Anuga 2013 is available at www.anuga.com.